"Whoever said there's strength in numbers lied." Maureen "Marzi" Wilson is an introvert who found herself on a mission to better understand herself. She turned to her own talents of writing and drawing to set out on this journey and discovered along the way that there was a world of introverts quietly living among her. When she began to share her art, this quiet audience began to shout understanding and her little book Introvert Doodles hit the shelves. I have sometimes seen some of Wilson's comics floating around the internet, and found myself silently chuckling in agreement. I had no idea that there was a whole book of doodles. That is, until Stacy from Stacy's Books sent me a copy in my little Secret Santa gift this last December, and now I cannot thank her enough. 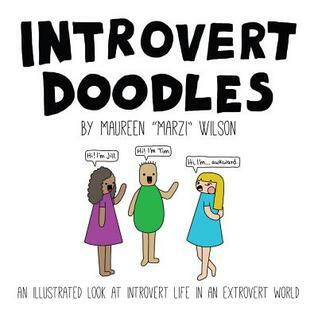 Introvert Doodles is a book I will set on my coffee table or end table to visit whenever I need a little laugh, or when I need a little reassurance that I am not alone in this very extroverted world. 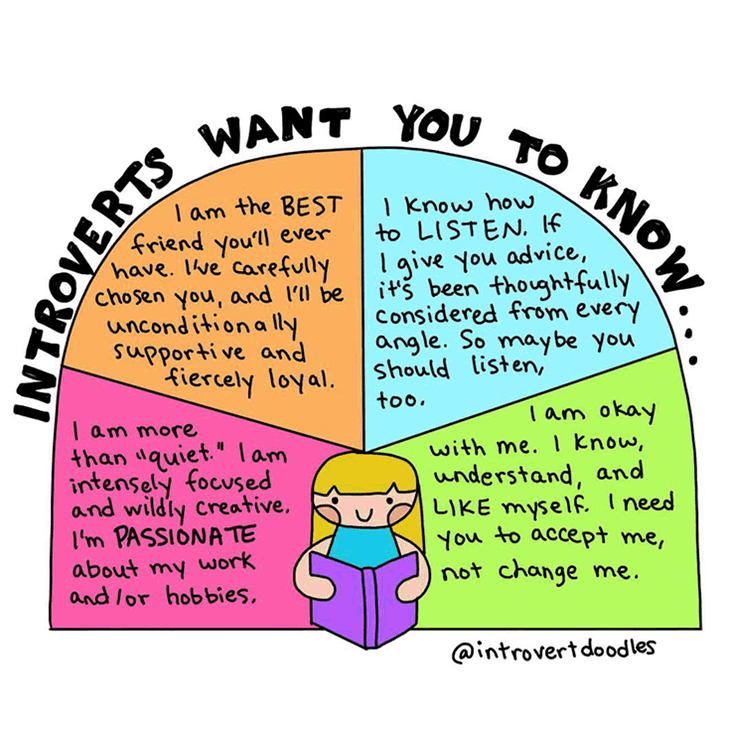 Because sometimes being an introvert can feel lonely and overwhelming, especially for one who works with people all day every day. And, because sitting with a book at the end of the day, a book that you can relate to and makes you laugh, is just the right medicine for an introvert's soul. Introvert Doodles is like comfort food. I want to share a quick nibble of this comfort food with you. There is more where that comes from; a feast really. You can find this one and many more at the devoted Introvert Doodles website. Are you an introvert or an extrovert? Have you been exposed to Wilson's doodles? Can you relate? I'll have to give this one a look. Jenny ... It's cute! I love revisiting it! This looks really cute! I'll have to flip through a copy some time. Michelle ... It's a fun one to flip through! In fact, that's one of the nice things about it. You don't have to sit down and read it cover to cover. Fun! This looks kinda like Adulthood is a Myth. It is full of introvert situations too. Kami ... I have not heard of this one. I need to check it out, too!